The 13th annual event to celebrate the Japanese GMO-Free Zone movement was held in Nagoya, Aichi prefecture, on March 3, 2018. 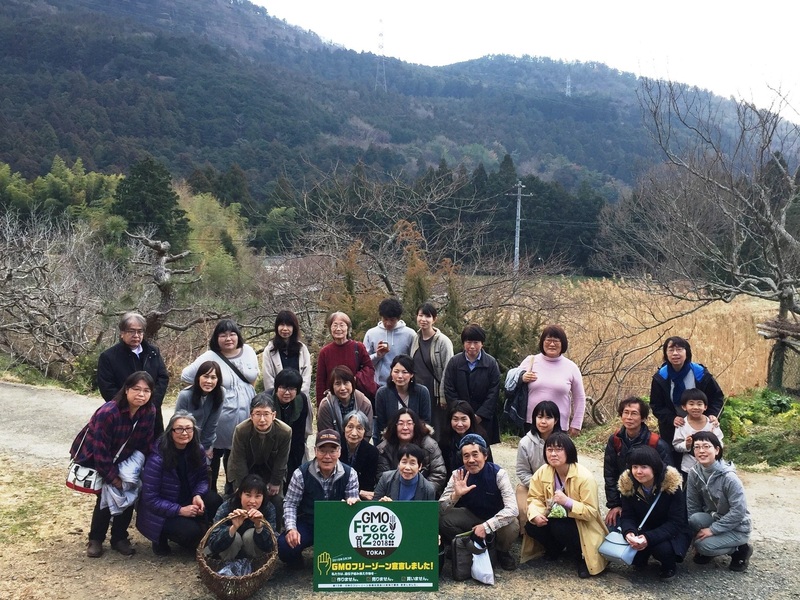 During the past year, many groups participated in the preparation of the event, including members of the Seikatsu Club co-operative movement, local citizens and farmers groups in and around Nagoya, as well as the No! GMO Campaign. Some 300 people joined this year’s event. We welcomed five participants from South Korea’s National Korean Anti-GMO Movement and two participants from Taiwan’s Anti-GMO School Lunch Movement. Starting From Seed to Otowa Rice, the research council that promotes the Otowa variety of rice, the Aichi Network to Promote Sustainable Organic Agriculture, and the nation-wide grass-root movement to test wild-growing GM canola reported about their respective activities in Japan. Also, the latest figures from Japan’s growing GMO-Free Zone movement were announced. The area that is officially registered as GMO-Free has increased by 1,310.27 hectares to a total of 95, 526.27 hectares all over Japan as of February 1, 2018. That amounts to approx. 2% of the Japanese farmland. This may be regarded as small, but please recall that when we started this movement in March, 2006, we only had 4,716 hectares registered, so this is an increase of over 20 times. This time, we also included the official registration of pasture areas and forests as officially GMO-Free. Supporter registration has also increased. “Supporters” are individuals and corporations that pledge their support to farmers who have declared their land to be GMO-Free. During the past year since 2017, the number of individual supporters increased by 2,505 to a total of 13,351, while the number of corporate supporters increased by 38 to a total of 84 companies and businesses. We are working towards more GMO-Free Zones in every region of Japan, and the trend is that the areal is increasing year by year. We have also noticed that it tends to increase a lot in the area where our annual event is being held. This year, the event was held in central Japan, and many new registrations came from Aichi, Gifu, Mie, and Shizuoka prefectures. We believe this trend will continue from now on. The next annual GMO-Free Zone event in 2019 will be held in Chiba prefecture, east of Tokyo.